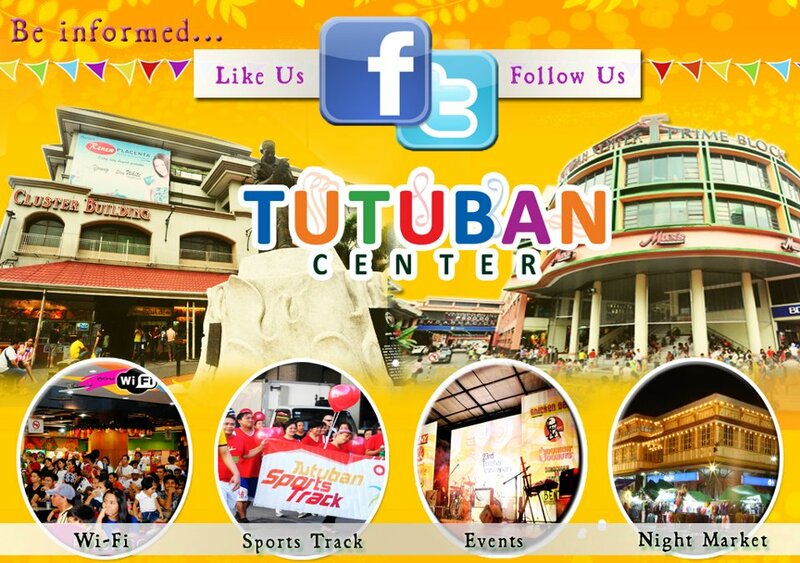 How to Get To Tutuban Commercial Center? The Pinoy Shopping Experience. And indeed, this place does not disappoint. Tutuban Center provides a bargain haven in the shopping world known as Divisoria. The Night Market is a must-visit for those who want to avoid the hustle and bustle during the day but still get a good steal out of RTW shirts, gift items, delicacies, and everything "under the sun". Formerly a PNR central station, this big area was converted to an air-conditioned mall in the early 90's and since then has housed bargain and wholesale stores. Robinson's Department Store and Supermarket can be found here as well as the Prime Block Mall. 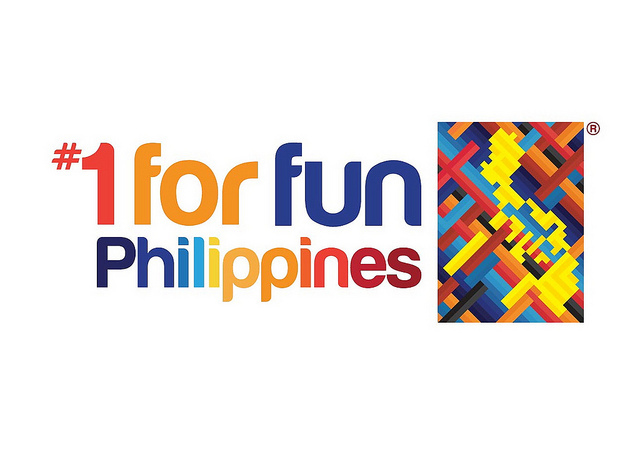 The original malls are Tutuban Mall, Centermall 1 and Centermall 2. *Remember to take note that Tutuban Commercial Center's main landmark streets are Claro M. Recto Avenue and Dagupan Street. For traveling tips and safety guides, refer to the mentioned section below the map. Via PNR Stations: One thing to note is that Tutuban Commercial Center is the northernmost station of the Philippine National Railways (PNR). Stations can be found from Alabang all the way to Tutuban, cutting across Muntinlupa, Paranaque, Taguig, Makati, and then Manila. Fare is between P10 to 20. For schedules, you can consult the PNR website. Option 1. From Monumento, ride a jeepney bound for Tutuban Commercial Center via Rizal Avenue and get down at the corner of Claro M. Recto Ave. Walk westward along Recto Avenue or ride a jeep to Tutuban Commercial Center or Divisoria. Option 2. From Monumento, take an LRT 1 Yellow Line going to Taft and get down at Doroteo Jose station, walk towards Claro M. Recto Avenue and turn right at Recto Avenue and walk or ride a jeep to Tutuban Commercial Center or Divisoria. Option 3. From Caloocan near Tondo area, ride a jeepney to Divisoria (or Dagupan street) via Juan Luna street. This will take you Tutuban Commercial Center. Option 4. From Navotas and Malabon, there are jeepneys bound to Tutuban Commercial Center or Divisoria via Ylaya Street. Option 1. From Marikina, take the LRT2 Purple Line and go down at Recto Station. From here, ride a jeepney bound for Divisoria or Tutuban Commercial Center. Option 2. From Cubao, you can ride a jeepney/FX that is bound for Divisoria and asked to be dropped at Tutuban. Option 1. From Taft Avenue, take a jeepney bound for Divisoria/Tutuban either via Taft or Mabini route. Option 2. Ride an FX or bus bound for Manila City Hall or Lawton and from there ride a jeepney bound for Divisoria or Tutuban Commercial Center or Divisoria. Option 3. Ride the LRT 1 Yellow Line bound for Doroteo Jose and then walk towards Recto Avenue and turn right at Recto Avenue and walk or ride a jeep to Tutuban Commercial Center..
Option 1. Take jeepneys such as Guadalupe - Cartimar and Evangelista - Buendia or Ayala-Leveriza Bus bound for Buendia LRT 1 Station. Then follow the options mentioned above. Option 2. Take the Pasay Road - Libertad or Dian - Libertad jeepney and go to Libertad LRT 1 Station. Then follow the options mentioned above. Option 3. From Guadalupe, take a Pasig River Ferry and go down at Escolta station. There are jeepneys passing by the area that are bound for Divisoria. Option 4. Ride PNR Train from Pasay Road or Buendia Station then get down at Tutuban Center. Boulevard. Fare is around P35. Get off at Iglesia ni Cristo Juan Luna St., then ride a jeepney going to Dagupan or Tutuban Center. Option 1. You can ride an MRT southbound to EDSA-Taft Station and transfer to the LRT1 via an elevated walkway to EDSA Station and ride an LRT bound for Monumento. Go down at Doroteo Jose and then walk westward to Recto then turn right at Recto Avenue and walk or ride a jeep to Tutuban Commercial Center. .
Option 2. You can ride an MRT southbound to EDSA-Taft Station and from there ride a Divisoria bound jeepney via Taft Avenue. There are also buses from the south that are bound for Lawton, you can take that, get down at Lawton and transfer to a Divisoria/Tutuban bound jeepney. Option 3. You can also ride an MRT northbound to Cubao and transfer to LRT 2 Purple Line bound for Recto and ride a jeepney bound for Tutuban or walk westward to reach Tutuban. Option 4. You can also ride an MRT northbound to Cubao and ride a Divisoria-bound FX/jeep along Aurora Blvd and asked to be dropped at Tutuban. Option 5. From Shaw, there are FX bound for Tutuban. Option 6. You can also ride a Pasig River Ferry and go down at Escolta. There are jeepneys passing by the area that are bound for Tutuban. Piñas, Alabang, turn right at Moriones Street until you reached Tutuban Center. Parking is available at the mall. Of course, you can ride a taxicab from any area in the Metro and just mention to the driver to drop you off "Tutuban". The route might seem hard for them so a good compromise would be anywhere close by along Recto or Juan Luna. 189 Responses to "How to Get To Tutuban Commercial Center?" it was fret experienced to visit this post. I have never visited this Tutuban Commercial Center. Thank you for the instruction. Yes you are paying attention right this application will Cheat Engine which will certainly assist you to hack your any kind of android game. Consumer treatment division supplies great deals of solutions as well as official website a couple of inquiries we're frequently inquired about tracking bundles. idle heroes unlimited gems . Asphalt 9 legends unlimited money . The crime of insurance fraud: is embezzlement a felony?